Countrylife Stoves has been providing installation materials for nearly 40 years, to both the trade and general public. We stock a wide selection of items, if we do not have what you need, we can usually obtain it within a few days. Every year your stove should be serviced, for your family’s safety. We sell a wide range of products to help you carry this out yourself. We sell sweeps brushes and rods so you can sweep your chimney, ensuring that your stove will continue to run efficiently. We also offer a comprehensive range of repair services, in our workshop, which includes: replacing stove glass, fitting new high temperature rope seals around the doors and cutting firebricks to size. We recommend that a birdguard/rain cowl be fitted to stop birds and rain coming down your working chimney. For unused chimneys, we advise a vent cap cowl is fitted and we keep a selection of these in stock. We keep in stock all the materials for you to fit your stove and fireplace, including stove pipe, flue dampers, flue liner and liner adaptors, our own unique metal register plates, together with insulating materials, cowls, air vents and CO alarms. What ever your requirement is, we want to help you, to make sure the installation of your stove or fireplace has the best materials, enabling you to enjoy your stove or fireplace for many years to come. We also stock a wide range of products to help you prepare and finish your installation. These include products for cleaning brickwork, sealing and cleaning limestone and bringing slate back to its former glory. We can help advise on building a new brick chimney, using our pumice liners, or give advise on the installation of twin wall insulated chimneys. Any installation of a heating appliance, or modification to a chimney such as relining, has to be carried out in accordance with Building Regulations (Part J and Part L in England and Wales). In England and Wales there is also a requirement that Building Control Consent is obtained for such work, unless a Qualified Competent Person carries out the work. (The governing bodies are HETAS for all solid fuel and woodburning appliances and Gas Safe for all gas work). 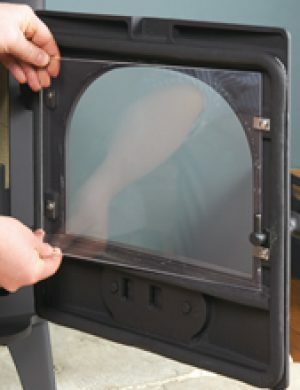 From the 1st of October 2010, a sealed battery powered CO detector must be installed into the same room as your stove. Also any house that was built on or after 2008 will require an air vent, even if the stove is under 5kw. If the stove you have chosen has a 5” outlet, the regulations also state that you will usually need a minimum of a 6” dia. flue liner. IS MORE DANGEROUS THAN NO LINER AT ALL!! 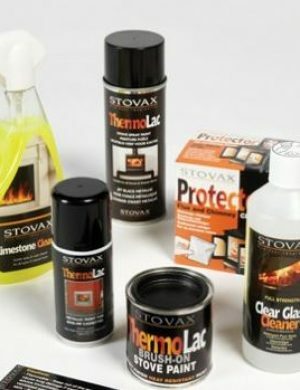 We have a wide range of accessories and products for your home, as well as supplying stoves and flue. If you would like more information on our products, please contact the showroom on 01473 258738. To ensure we can offer you the complete service, we work with a number of trusted independent installers, who are happy to carry out an initial site visit and offer advice where required.